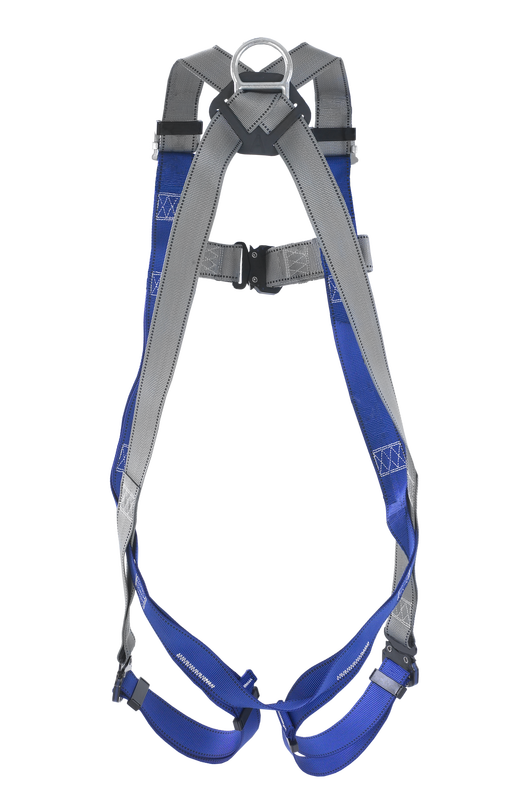 Our single point fall arrest harnesses have one attachment point in the form of a rear dorsal D Ring. Manufactured in Germany using 45mm polyester webbing with anti-corrosive plated steel fittings. Also available in smaller and larger versions on request, however our standard sized harnesses usually fit most people. 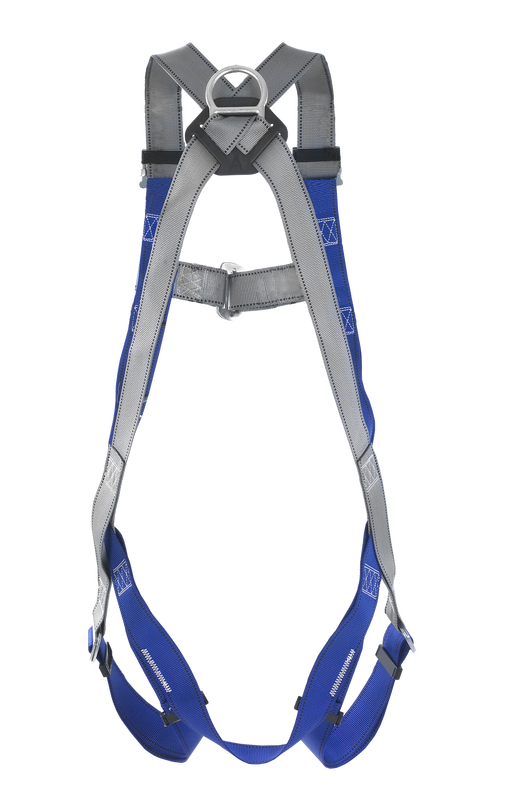 Please see our "Harness Sizing Guide" for more information.